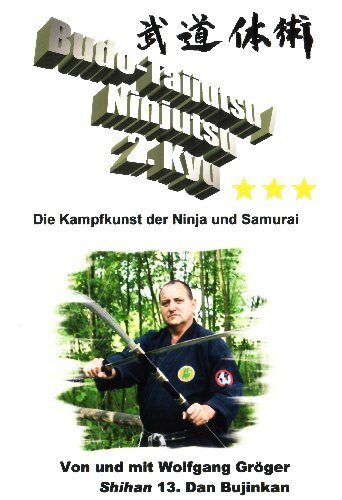 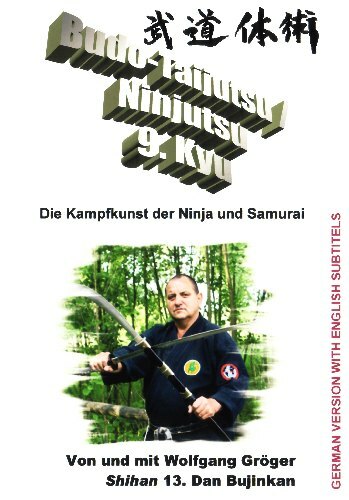 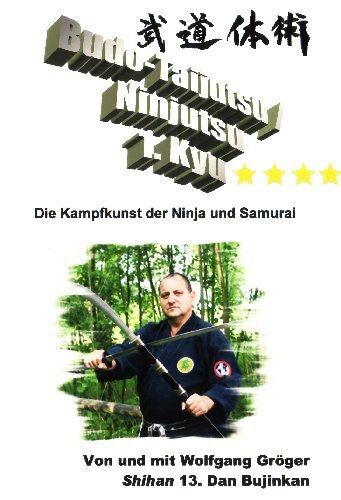 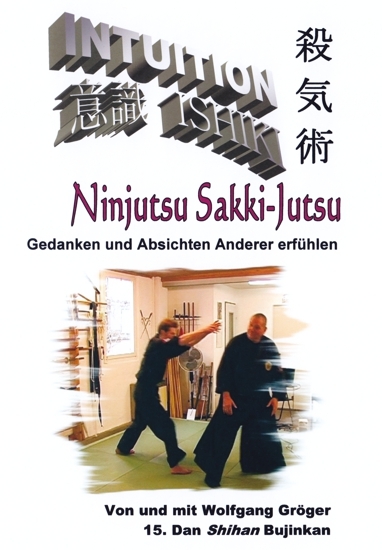 The training and examination program for 5th Kyu grade in the art of Ninjutsu / Budo-Taijutsu is available as a MP4-Video with a runtime of 55 minutes. 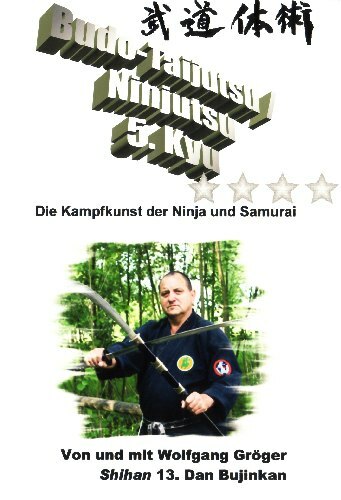 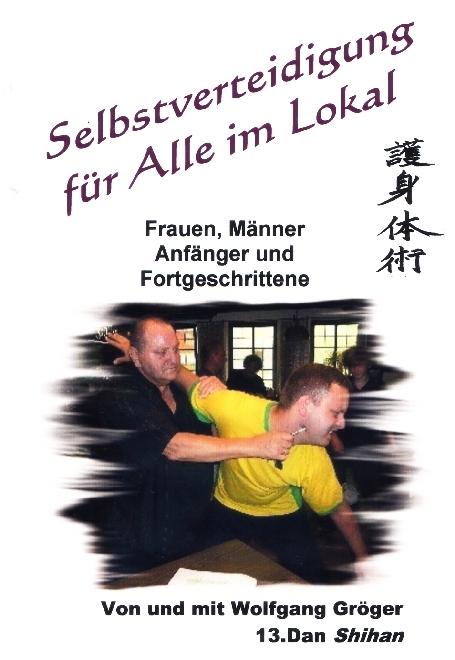 Important basics and also some variations for the 5th Kyu grade, which are necessary to learn this complex combative art, are demonstrated and explained on this video, in order to study these combative arts as traditionally and currently as possible, following the doctrine of grand master Dr. Masaaki Hatsumi (Japan). Content: Being faster than aggressor ( different beating and kicking techniques), Kihon Happo 1 – 8 (demonstration with partner alsways two variations), Ken Jutsu I (Ken Kamae no Kata – basic sword positions, basic cuts and pricks), Randori (free fight without or with light contact), Tehodoki III (Shuko Uchi, Yahazu Gake), Hanbo Jutsu II (Kihon with partner), Hanbo Jutsu III (Nagai-Tsuki, Naname-Tsuki, Uchi, Furi-Kyo, Juji, Kansetsu Waza, Goshi Kyo), Ken Gamae to Yoho I (defence with Fudo Ken, Ryu Ken, Shitan Ken, Sui Ken, Shuto Ken / Kiten, Chin Ken, Sanshin Ken, Shako Ken, Sokki Ken, Sokko Ken, Hosen Ken, Tsui Ken, Nio Ken, Shuko Ken), Torite Kihon Gata III (Omote Gyaku Kimewaza Roppo, Ura Gyaku Kimewaza Roppo).